Your Porsche paints the perfect picture of a refined luxury vehicle. It’s crafted from the highest-quality parts to grant you spectacular performance each time you drive it. Each OEM Porsche component fits just right and works with all the others, so why use anything less than genuine Porsche parts when something needs to be replaced? At our Porsche parts center near Schenectady, we have all the OEM Porsche parts you need to protect the investment you made in your prized vehicle. Our parts experts are happy to share advice and help you select the genuine Porsche part or accessory you need to complete your vehicle. This way we can ensure the various components of your sports car or SUV all work together seamlessly, providing you with the same thrilling driving experience you received the day you brought your vehicle home from the dealership. 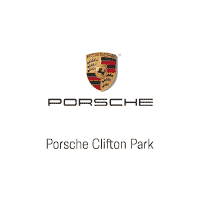 Visit our OEM Porsche parts center today!